Codonopsis is a herbaceous, perennial plant that is native to central and eastern Asia. According to the Herbal Supplement Resource website, the root of the plant is used in traditional Chinese herbal medicine. The roots are harvested around September or October when aerial parts of the plant have withered. The roots are then dried, chopped, and roasted in a pan together with millet until they attain a yellowish hue. Once this is achieved, the roots are ready for use or to be stored for later use. 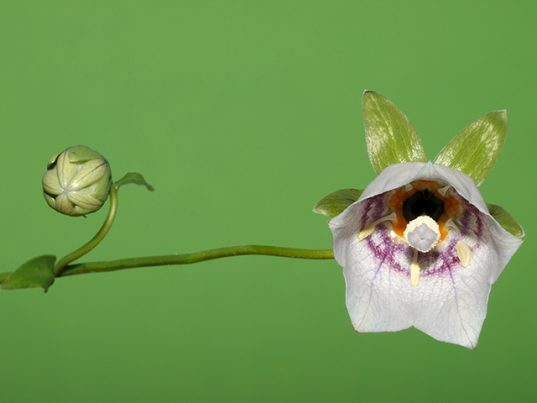 Other names for codonopsis include poor man’s ginseng, bonnet bellflowers, and false ginseng. Codonopsis is touted for its potential use in alleviating discomfort following treatments for tumors and cancer. According to an article on the Herbs 2000 website, the herb promotes both red and white blood cell production. This, in turn, mitigates the side effects caused by toxins normally used in chemotherapy. The article also notes that the plant helps speed up the body’s healing process after undergoing radiation therapy. The herb is also a well known remedy to various immune system disorders. Codonopsis is found to possess interferon-forming properties that may prove helpful in people with compromised immunity such as those infected with the human immunodeficiency virus. Likewise, the herb is known to mitigate the harmful effects of lupus on the body. Lupus is an auto-immune disorder that prompts the body to destroy its own DNA in the skin cells. Aside from this, the plant is shown to support the body’s digestive profile. The herb is found to improve digestion by reducing pepsin secretion in the stomach, which in turn slows down the passing of food from the stomach to the intestines. Codonopsis is touted to relieve ulceration as well. The plant is shown to alleviate peptic ulcers that are caused by various conditions such as loss of appetite, chronic diarrhea or vomiting. The astringent properties found in codonopsis are also beneficial in addressing uterine bleeding. Likewise, the same properties are touted to relieve rheumatic pain and other joint problems. The plant is also known to lower blood pressure levels and improve the nervous system’s overall health. Other diseases addressed by codonopsis include asthma, anxiety, and exhaustion. Codonopsis is essential in maintaining a healthy immune system. Likewise, the herb is known to facilitate digestion and improve the system’s overall health. The plant is also known to protect women’s health and alleviate bone and joint pains. The herb is beneficial to both the heart and the brain as well. Codonopsis is used in traditional Chinese medicine and is commonly processed as tea, tincture or tablet. Likewise, the herb comes in other forms including extracts, powders and decoctions. Aside from this, codonopsis can also be used as a cheaper alternative to ginseng and can be added to various meat recipes. An article posted on the Spring Tomorrow website features a sumptuous steamed chicken recipe using codonopsis. Codonopsis alleviates chemotherapy- and radiation therapy-related discomfort. Codonopsis mitigate the risks associated with lupus and HIV. Codonopsis prevents digestive issues, uterine bleeding and rheumatism. Codonopsis reduces the odds of asthma, anxiety and exhaustion. Codonopsis maintaining healthy immune and digestive systems. Codonopsis protects women’s health and alleviate bone and joint pains. Codonopsis supports both the heart and the brain.